Holiday season is all about colors, joy and laughter. Quite rightly the best holiday season gifts should complement the casual charm and colors of the season. If you thought a modest budget might come in the way of finding delightful and practical holiday season gifts, you could be in for a surprise. Check out this delightful collection of full color keychains that will make your recipients party ready. 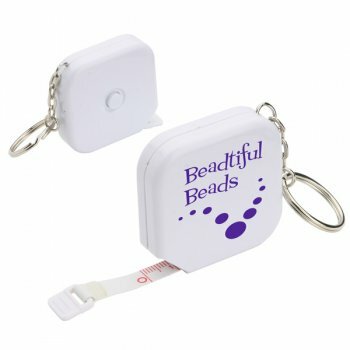 Customize these with your brand and message to make it a unique custom gift for your employees, patrons, clients or tradeshow attendees. Keychains make a highly useful custom gift that everyone will find useful in their daily life not just to organize their multiple sets of keys but also as colorful accessories and adornments. A stylish or quirky keychain will make a great talking topic among your customers. 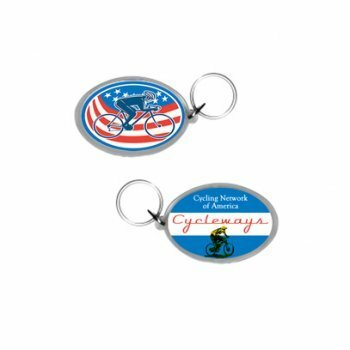 Celebrate colors and add beauty to your holiday bag gifts with these full color keychains that will get your customers talk about your brand for a very long time. Interestingly , keychains never get shelved as most people find it an easy way to identify their different sets of keys that will all look the same. 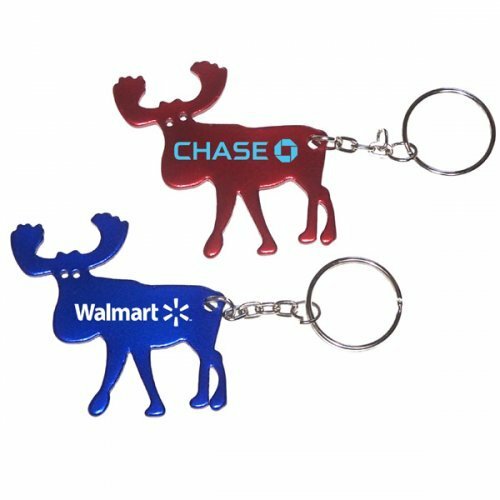 Keychains have one of the lowest costs per impressions as they are available at rates starting from 0.30$, which makes them well suited for mass promotional events like mailer campaigns and tradeshows. 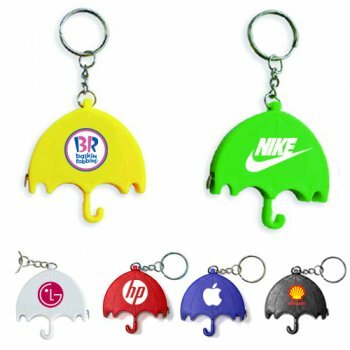 Here are some of the full color keychain models that will make your brand pop in the minds of your audience. 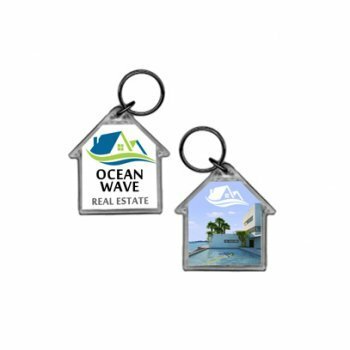 Oval Acrylic Keytags These attractive oval key tags offer creative space for your brand logo and holiday message. Get the lowest price match guarantee with us. 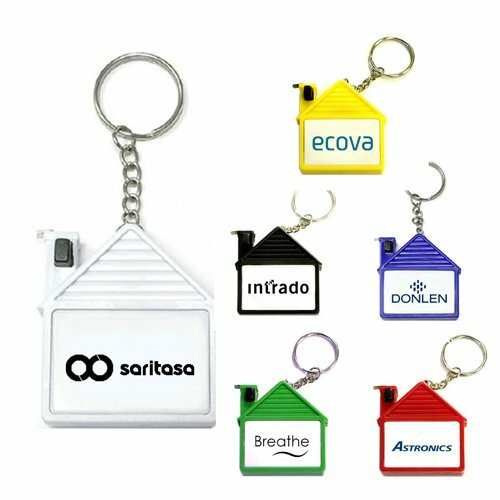 House Shape Acrylic Keytags : Ideal for promoting realtor brands, home insurance and property expos and events, these durable keychains will make a delightful collectible as well apart from being a functional keychain. Square Tape Measure With Level Keychains: Check out these Keychains that can double up as tape measure and level, which will enhance your brand exposure manifold. No matter whether your recipients use it to carry their keys or measure something, these full color keychains will grab a lot of attention. 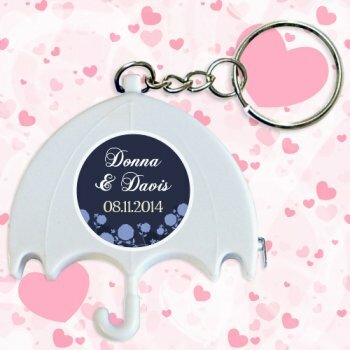 Umbrella Shape Tape Measure Keychains: Quirky shaped keychains like umbrellas make all time crowd pleasers. The best part is these combo keychains can also be used as tape measures. Double the use, double will be your brand exposure! 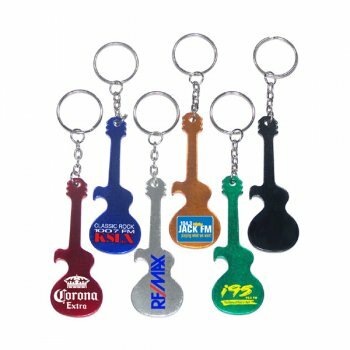 Guitar Shape Bottle Opener Keychains: Nothing says happy hours and holiday cocktail parties like a handy bottle opener that will literally leave your brand right in the hands of your audience. Customize these with your mascot, artwork or message to make it a portable billboard for your brand. 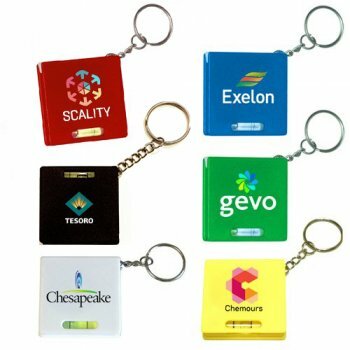 We have an exclusive section of full color keychains that will add a stroke of brilliance to your promotions. Do not miss the fun!